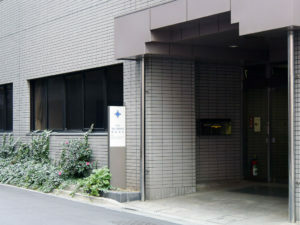 CCIEA holds Japanese language classes for foreigners who live or work in Chuo City. 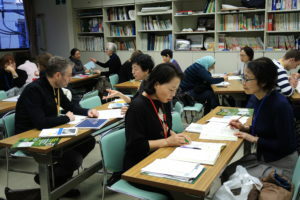 Instructors are volunteers who have completed the Training program for Japanese language instructors hosted by the association. Lectures are given on a one-on-one basis or in a small group and you can enjoy learning in a friendly environment. Please feel free to contact us. You can apply for one of the three classes hosted by CCIEA. Foreigners who live, work, or go to school in Chuo City. Please send an application form to CCIEA by Fax or Email. You can download the form from the links below or receive it at CCIEA Office. Childcare services are available on the day of Thursday classes from 10:00 to 11:45. No fee will be charged. Application forms must be submitted every month. 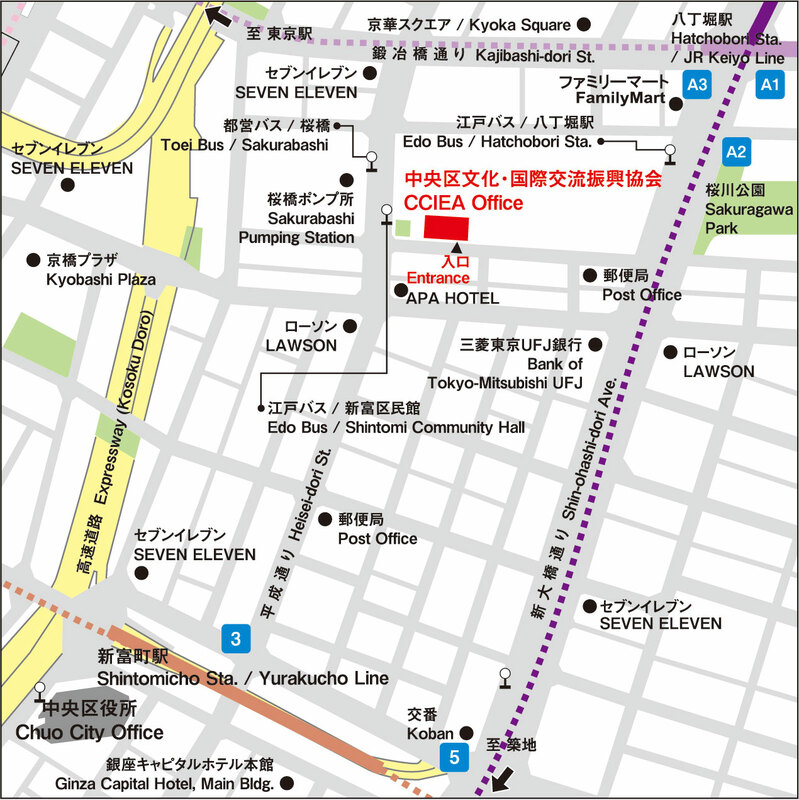 Open Hours: 8:30 to 17:00　Mon. through Fri. & 2nd, 3rd and 4th Sat.